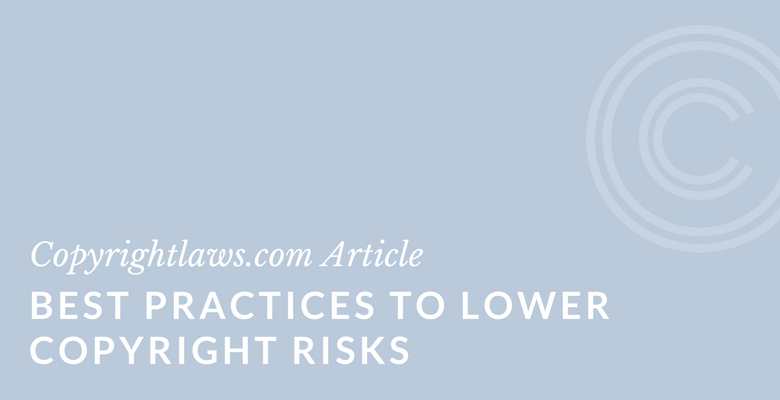 How can you lower copyright risks? Lowering copyright infringement risks is a goal of every library, organization and business. This article provides tips for identifying your copyright risks when using third-party content, and keeping those risks to a minimum. Applying copyright law to the use of third-party content is generally not a straight-forward process. For purposes of this article, third-party content is copyright materials that your library, business or organization do not own. For example, the third-party content may be an image, or video clip, or an article. You may want to post that content on your website, include it in presentation slides, or into a research paper or book. To lower copyright risks, think about copyright issues in the planning stage of any project. You’ll need to assess each item you’d like to use. Add columns and fill in what you own and which pieces of content you do not own. Have you gotten past permissions to use any of these items? Mark that on your list too. Begin your list at least six weeks prior to beginning any project and prior to using any content that is protected by copyright law. As you determine and/or clear rights and obtain permission to use content, fill that information on your list. If you’re obtaining permissions, make sure you also record terms and conditions in those permissions. Each situation or scenario of using third-party content can have a different conclusion regarding the application of copyright law. As such, you cannot simply apply your country’s copyright law to your use of copyright-protected materials. However, whether you are in a for profit or nonprofit library, business or organization, there are key steps you can take to lower copyright risks. Understand and identify potential copyright infringement risks. Assess the degree of the risk. Is it a risk one that is acceptable within your normal policies and strategies and your everyday workings? Or one that you must avoid at all costs? Take actions to keep risks to a minimum. This may involve proactive things such as a copyright awareness and education program in your enterprise. Understand basic copyright principles in your own country. Copyright laws vary from country-to-country. To start, get familiar with what’s protected by copyright, what uses are considered the exclusive rights of a copyright owner and require permission, and the meaning of public domain. Be comfortable with global copyright issues. If you’re using third-party content such as an illustration or photograph that you find online, there may be implications of global copyright issues. Keep in mind that most uses of online content means a global copyright issue. Know about any exceptions in your copyright law. Does your country’s copyright act have the fair dealing or fair use principle? How do these principles apply to your uses of third-party content? Are there other exceptions in the copyright law that might apply to you, for example, exceptions for incidental uses of content, or special provisions for libraries, archives, museums and educational institutions? Learn about how Creative Commons (CC) licenses work. Just because an image or article has a CC license does not mean that you can use it for free and without obtaining any copyright permissions. Each of the six CC licenses is different. Some are for commercial use and some for noncommercial use. Some require acknowledge of the copyright owner and some allow you to adapt the content. Taking the time to understand how the license on the content you want to use works is essential to keeping your copyright infringement risks to a minimum. Be aware of the difference between a copyright lawyer and the non-lawyer who manages copyright in a library, business or organization. Do you have access to a copyright lawyer for the “bigger” copyright issues that require a legal opinion or legal advice, perhaps in the case of being the defendant in a copyright infringement suit? And who manages the day-to-day copyright issues such as including images in presentation slides or seminar materials? Be proactive and have a copyright risk management plan in place, possibly including a Copyright Policy or written copyright guidelines. This copyright compliance document can help lead the way when using third-party content on a daily basis. 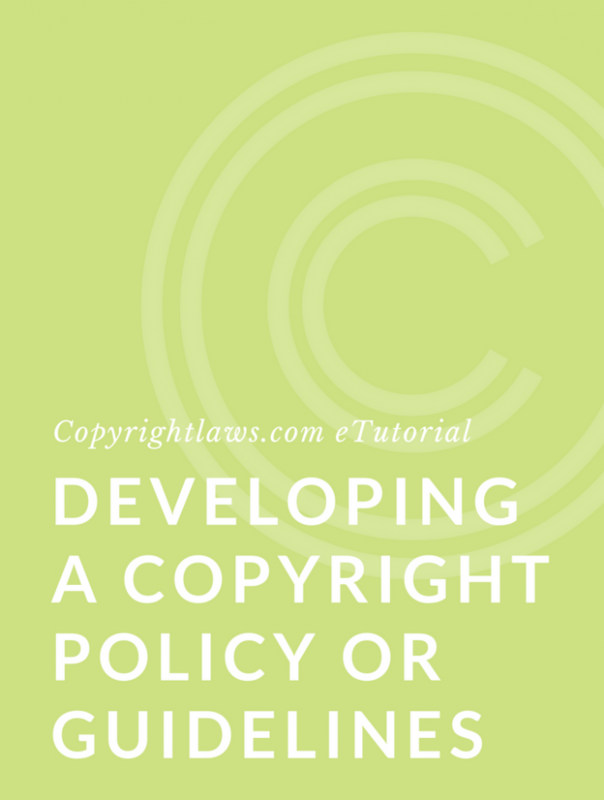 It provides a consistent approach to dealing with copyright materials and guidance for everyone in your library, business or organization. Spread the copyright word – educate those around you about copyright and licensing electronic content. One of the best ways to lower your risks of copyright infringement is to make all your employees aware of copyright rules, and what you can use without permission, and when and how to obtain copyright permission when you do need to obtain permission. Don’t think that you have to invent the wheel when it comes to copyright education – check out our online copyright courses designed to help non lawyers manage copyright issues. Copyright risk management means keeping your risks of using unauthorized third-party content to a minimum. It is a group effort that needs to be coordinated throughout your library, business or organization. And it’s not always an easy effort. The checklist set out above sets out some steps you can take to keep your risks to a minimum. By incorporating some or all of these steps, and others as well, into your enterprise’s protocols and management, you’ll be on your way to copyright compliance. Dealing with copyright issues daily? 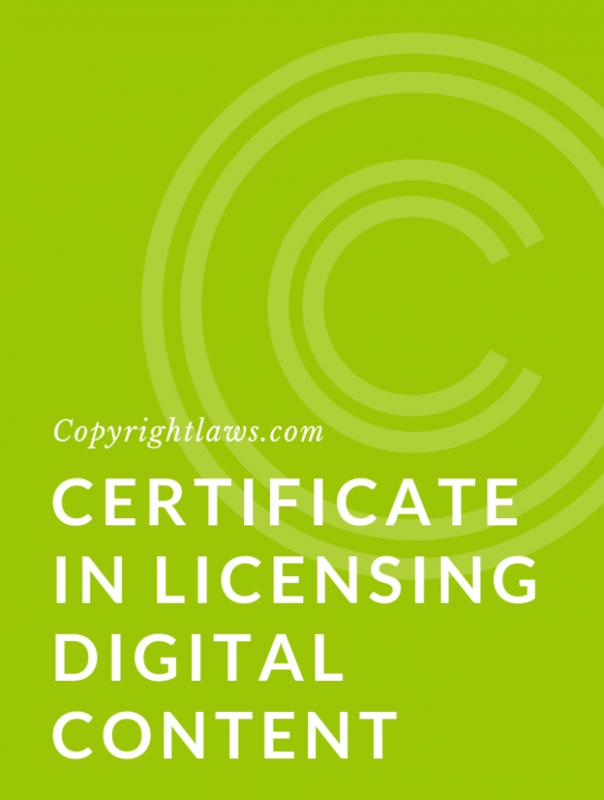 The Copyright Leadership Certificate program teaches you how to deal with day to day copyright issues including analyzing situations when permissions is required and how to obtain that permission.